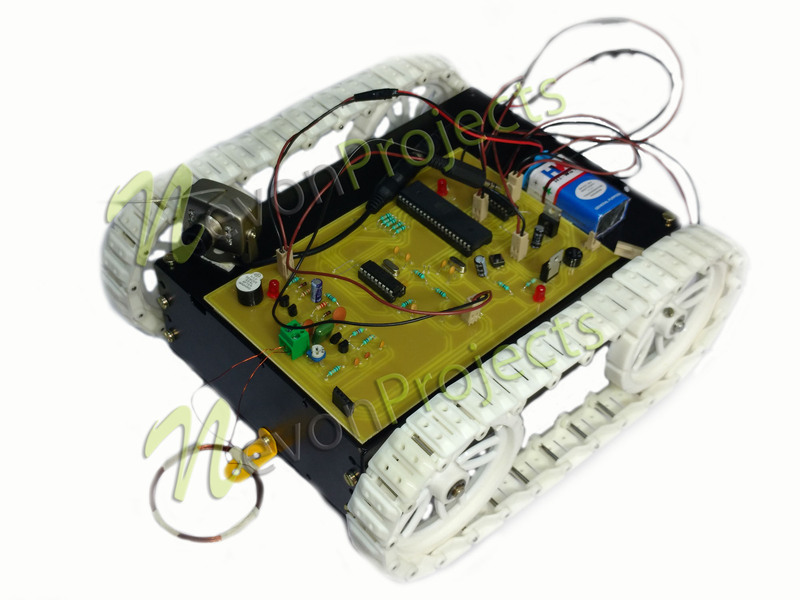 This system Long Range Spy Robot with Metal Detection is a very innovative system as this system allows operating a robot irrespective of the distance of the user who wants to operate the robot. The user of this system doesn’t have to worry about the distance in order to operate the robot. 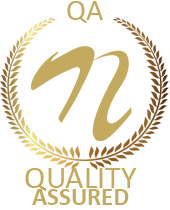 The system does this with the help of DTMF technology which allows sending data commands via a call. The user wishing to operate the robot will just have to call on the mobile phone connected to this system. 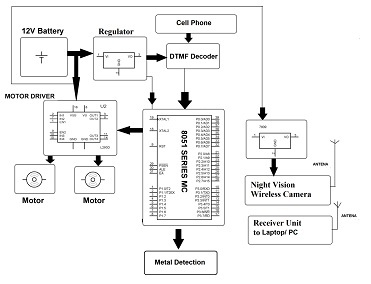 This system consists of 8051 family microcontroller which is interfaced to the metal detector, spy camera and the system also uses battery. The metal detector helps to detect metal on turns on the buzzer. In order to operate the system, the user has to make a call to the phone connected to this robot and once the call is received, the user will have to use the keypad to send data commands to the robot. The data commands will make the robot to either go in forward, backward, left or right direction. 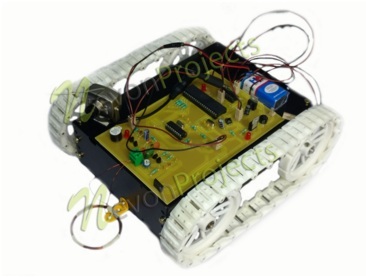 The system makes use of night vision enabled spy camera with the help of which the user can view the area captured by this spy camera which will be mounted on this robot. The user will be able to view the area captured by this spy camera not only during day time but also during night. All the area captured by this spy camera can be viewed in PC. 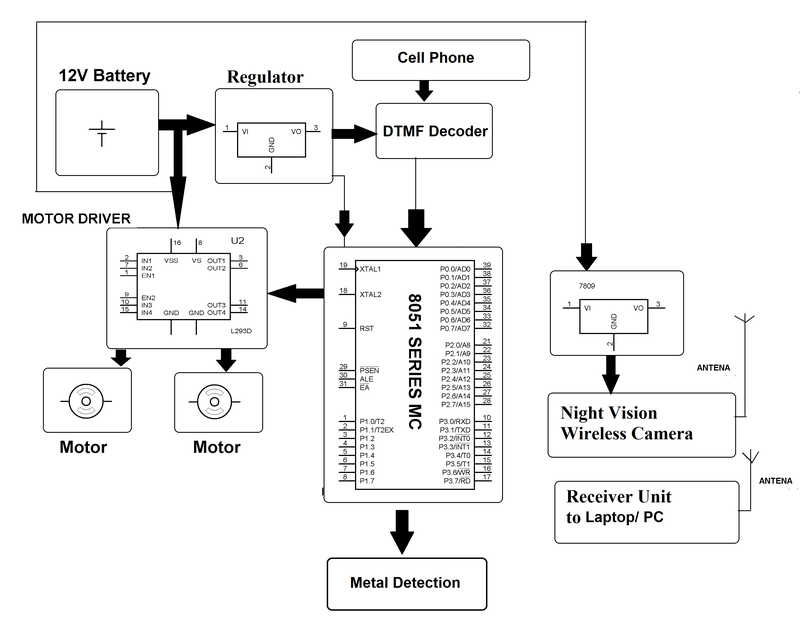 Thus with the help of this DTMF technology, the user of this system can operate the robot via data commands send through mobile phone, irrespective of the distance from the robot.